Today's youths are yesterday's future generation and tomorrow's guardian of future generations. 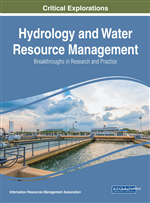 Successful water governance requires the sustainable management of water resources which in turn implies the maximisation of economic, social and environmental goals. This research, whilst focusing on the social traits of the current youth cohort, forms the basis of a wider national survey amongst Maltese society in order to identify their economic, social and environmental traits as one of the basis for developing a robust water governance framework for Malta. The research shows that whilst there is a solid foundation in the current youth crop to build upon for effective water governance, there is still considerable work that needs to be undertaken in order to raise awareness amongst a sizeable component of the current youth cohort. The Maltese Islands are a small group of islands south of Sicily, north of the North African continent. The islands have an overall area of 316km2, hosting a population of around 400,000 – a population density of 1309 persons/km2. Malta has been classified by the World Resources Institute as one of the 16 most water stressed countries and a review carried out by FAO (2006) clearly demonstrated that groundwater, the only freshwater resource on the island, is clearly overabstracted. The unsustainable situation is characterised by water quality and quantity status that does not meet Water Framework Directive provisions. In 2010 Malta’s Gross National Income (GNI) per capita stood at €13,916, remaining relatively flat and increasing by 0.36% between 2010 and 2011. According to the World Bank classification, Malta is therefore part of the group of high income economies (World Bank, 2012). Malta is also classified as a developed country by the United Nations (United Nations Statistics Division, 2011) and an advanced country by the International Monetary Fund (Nielsen, 2011). Within the EU, Malta’s GNI per capita is significantly lower than the EU27 average and ranks in 19th place. This shows Malta’s social standing internationally and within the EU bloc. However, Malta’s standing in terms of people at risk of poverty or social exclusion is below the EU27 average and 11th in rank with 20.6% of the total population. Unemployment between October – December 2011 stood at 6.6% whilst the inactive component of the population (15 years and over) stood at 49.6% of all persons aged 15 years and over (NSO 059/2012, 2012). It is also interesting to note that the largest share of unemployed persons falls within the 15-24 age group i.e. youths which makes an understanding of their social traits towards natural resources even more important. Table 1 gives an overview of the people in employment by economic activity.